The Riedell Blue Streak Pro roller skate set an incredible setup for a roller derby enthusiast. 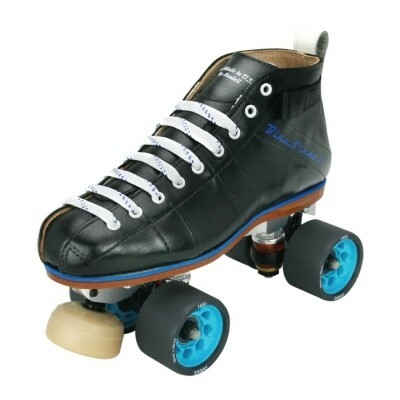 The skate starts with the ultra-soft Kango-Tan leather Blue Streak boot, which was developed with the help of top roller derby skaters who extensively tested each feature. The boot is paired with the PowerDyne Reactor Neo aluminum plate and Juipiter toe stop, KwiK Zenith bearings, and is rouded out with the high-performance Radar Halo wheels.